Built in the typical Kerala architectural style, this temple is famous all over India for the Palpayasam, the daily offering of deliciously sweet milk porridge. 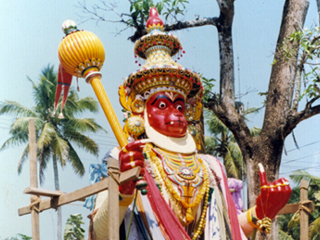 It is also in this temple that Pallipana is performed by Velans (sorcerers) once every twelve years. Paintings of the Dasavatharam (the ten incarnations of Lord Vishnu) are on display on the inner walls of the Chuttambalam. Ottanthullal, a satiric art form originated by the poet Kunchan Nambiar, was first performed on the premises of this temple. 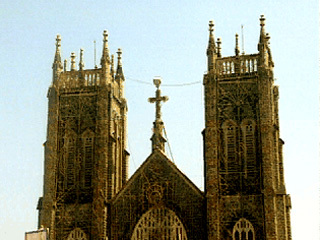 The St. Sebastian's Church here is an important Christian pilgrim centre. Annual festival: Arthunkal Perunnal - the feast of the patron saint (January). 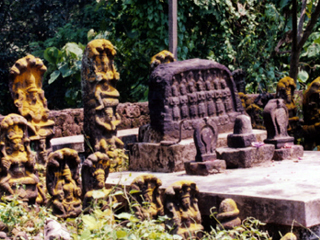 Situated near Harippad, this is a serpent shrine under the patronage of a Brahman family, headed by a priestess. The ancient shrine is an internationally renowned pilgrim centre dedicated to the Serpent God Nagaraja. Sarpa Yakshi and Naga Yakshi are the beloved consorts of Nagaraja. It is believed that Nagaraja as the installed diety is endowed with the form of Hari (Lord Vishnu) and the spirit of Lord Shiva. Legend has it that the first priestess of Mannarasala gave birth to a five-headed snake, which is believed to reside in the ancestral house to safeguard the family. At Mannarasala barren women are believed to be blessed with children and a special turmeric paste available at the shrine is credited with powers to cure even leprosy. Festival at Kandiyur Mahadeva Temple. Festival at Sree Karthyayini Temple.